As Love British Lamb Week approaches we speak to two of this year’s young ‘Lambassadors’ about their ambitions to challenge the traditional consumption of lamb. As Love Lamb Week approaches, these youngsters champion this British meat! 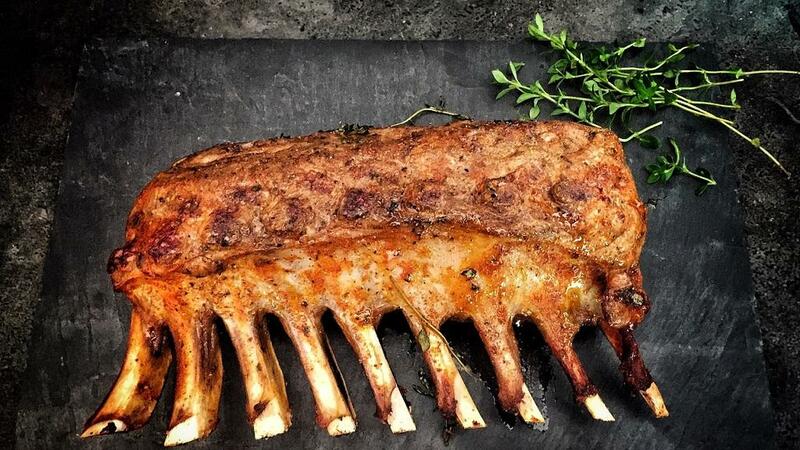 This year’s Love Lamb Week runs from September 1-7 and aims to remind consumers lamb can be enjoyed all-year round. Richard Rossiter is keen to promote the health benefits of eating lamb during Love Lamb Week 2018. The farmer, based in Galmpton, Kingsbridge, South Devon, is looking forward to promoting the lamb his family produces. “I think it is key to promote lamb as a healthy meat and a good source of protein,” he says. Richard farms 550 Poll Dorsets, 200 Suffolk/Aber Blacks and 450 Exlanas on his 400-hectare (1,000-acre) site, which is also home to 120ha (300 acres) of arable. Supporting his belief lamb can be enjoyed all year round, his Poll Dorsets lamb in September and October, ensuring they are ready for the early market in January. As a member of the Poll Dorset Centurion Group, Richard promotes the performance of the breed to commercial and pedigree customers. “The Exlanas are used as a maternal breed to keep costs down, build worm resistance and produce decent lamb while cutting costs,” he says. Situated just a mile from the coast, the farm is the perfect location for the breed, which suits coastal and stewardship land unsuitable for dairy grazing or arable production. 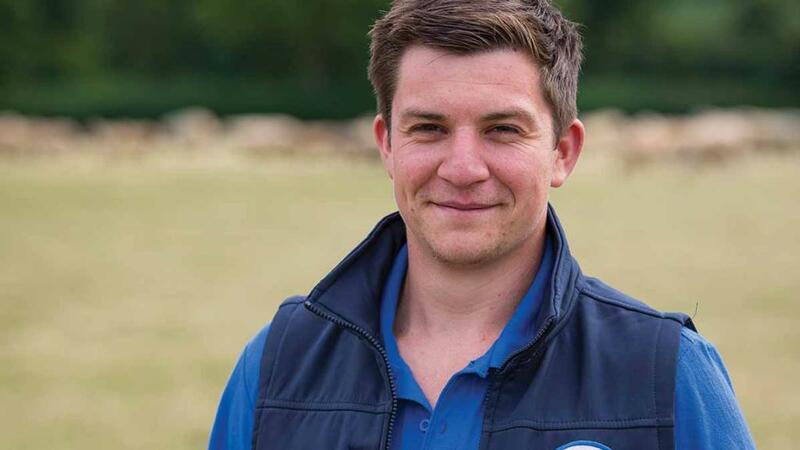 Aged 27, the National Sheep Association Next Generation Ambassador is aware lamb is falling in popularity with the younger generation. “It is perceived to be an expensive meat and joints are usually considered too big,” he says. But he wants to emphasise the different cuts available for smaller households. In the wake of a tough summer, Richard admits lamb producers are aware of the challenges they face, yet he believes getting the public onside will be key to the industry’s survival as Brexit approaches. “If we can get the public on our side and get them eating more lamb from our country then we would not be as reliant on exports. A lot of farmers do not do much when it comes to connecting with consumers, but it can be as simple of chatting to them and answering their questions about how meat is produced,” he adds. Kirree Kermode brings a unique perspective to the Love Lamb Week campaign as a sheep farmer on the Isle of Man. Alongside her parents and brothers, Kiree farms 250 pedigree Texels in Orrisdale, Ballasalla, in the south of the island. “This is our main flock. We do a lot of showing and sell most of the rams in the UK,” she says. The family also farm a small flock of Charollais and recently begun producing Texel-Charollais crosses, which have proved popular. A cross-bred flock of mainly Suffolk and Texel crosses and some hill sheep on the west coast of the island bring the business’ total flock size to 1,200. “On the Isle of Man we start lambing in April, with most of our produce ready for market in July. Love Lamb Week aims to increase sales of lamb meat in September, when most British lamb is sold. This is just one of the facts the National Sheep Association Next Generation Ambassador feels is not communicated to consumers. “There’s not enough being done to sell our produce and it’s our own fault. We know what should be done but we don’t have marketing skills, creativity or contacts. However, Love Lamb Week brings together like-minded people to do something worthwhile for our industry. “When people pick up a lamb leg steak in a supermarket, rugged coastlines and heather covered moorlands don’t typically spring to mind, but there’s a good chance that’s where the lamb they’re buying has been produced. I’d like consumers to be aware that when they’re buying lamb, they’re supporting some of our country’s most beautiful countryside. 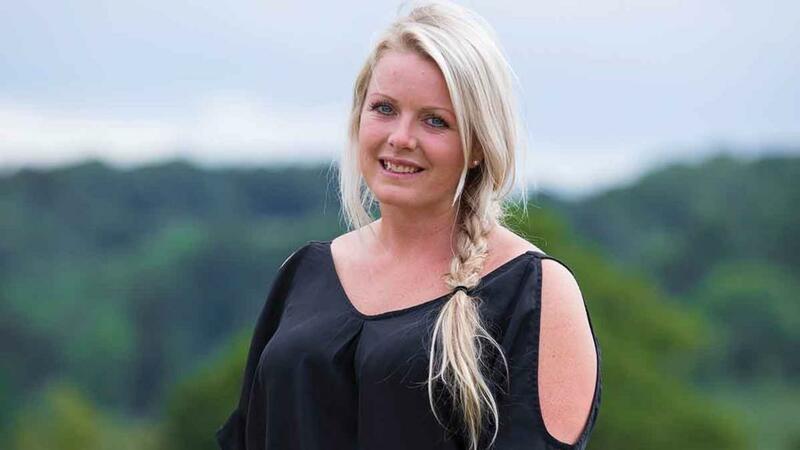 As the co-host of a countryside show on her local radio station, Kirree is passionate about communicating farming stories to the general public. “Farmers have to be more open,” she says. “Let the public come and see what goes on in modern working farms and what we do each day. Gone are the days where you could stand and shout ‘get off my land’. Preheat the oven to 180-190degC, Gas Mark 4-5. Mix all the the garlic and herb butter ingredients together in a small bowl. Place the joint on a chopping board, score the skin, season and spread the butter mix generously all over. Wrap any remaining butter in cling film or foil and freeze for up to two months. Remove from the oven; cover and leave to rest on a large plate for 15-20 minutes and make the gravy; spooning off any excess fat from the roasting tin and discarding. Place the roasting tin over a medium heat and sprinkle over the flour. Stir well with a small whisk or spoon, add a little stock and stir again, scraping the base of the pan to release any rich sediment. Add the remaining stock, cider and any meat juices from the plate. Adjust the seasoning if required and simmer for eight to 10 minutes, stirring occasionally until reduced to a well-flavoured gravy. Strain before serving.